Beautiful and comfortable villa, totally renovated and immersed in a private, fenced in property. Beautiful and comfortable villa, totally renovated and immersed in a private, fenced in property, located just 2 km from the picturesque village of Camaiore and just 18 km from the famous beaches of Versilia. The villa features a large lawn with beautiful swimming pool with jacuzzi, stone barbecue and pergola equipped for outdoor dining. Panoramic views of the property and the forest. Quiet location. The house is ideal for those who are looking for a relaxing holiday in contact with nature. Sports equipment in the basement room. 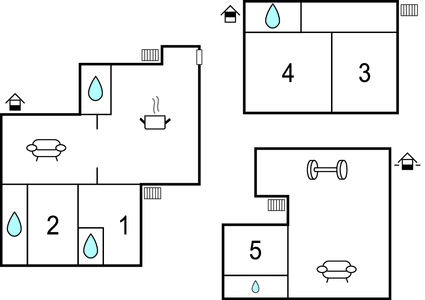 2 refrigerators are available; mosquito nets in all rooms. We recommend a trip to the Apuan Alps, from which the famous marble is got. Distances: riding school 4km, the beaches of Lido di Camaiore 9km, tennis 9 km, golf 14km, Lucca 22km, Pisa 30km, Florence 95km. This beautiful villa is made from wood and brick. The agent has rated it as a five star property so it is one of their best villas - tastefully furnished and fully equipped. It is also great value for money. 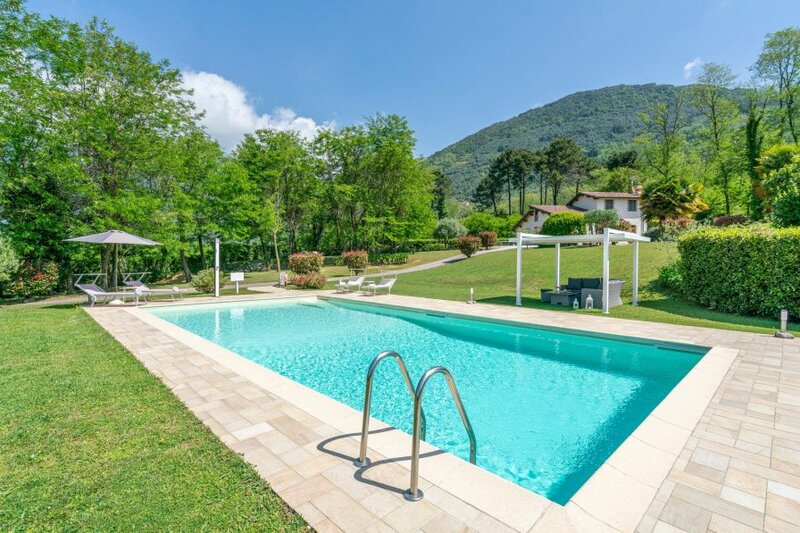 This villa has a private pool; it is also only 2km from Camaiore. It is set in a good location, 9km away from a sandy beach. There's also a restaurant 2km away. The villa has free wireless internet. You can also park on-site at no extra charge. The villa is well equipped: it has a refrigerator, microwave, washing machine and dishwasher. It also has a barbecue, exercise bike, exercise equipment and some garden furniture outside.